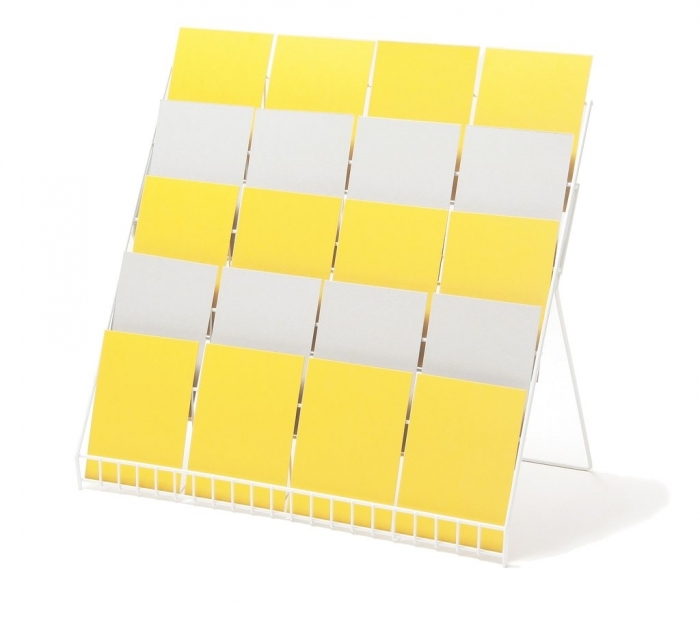 Lightweight five tier counter top greeting card display stand. Each of the five pockets measure 520mm wide. Overall Dimensions: (H) 425mm x (W) 535mm x (D) 380mm. Available in a high quality white plastic coating. Each tier has no divisions therefore they are suitable to display mixed size greeting cards. For A5 cards there are 15 display positions or 20 display positions with A6 cards. Depth of tier of 45mm allows space for about 6 cards per facing and plenty of cards. Rise of 70mm between tiers displays much of the card design with the top 70mm visible. UK manufactured product.